Un logiciel de conversion de DVD complet. L'offre gratuite du jour pour Dimo DVDmate 3.6.1 était valable le 16 novembre 2017! Coupe la longueur de la vidéo DVD, recadre la taille de la vidéo DVD, ajoute un filigrane, ajuste les effets, etc. 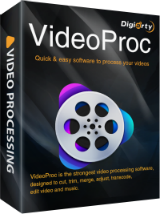 Une boîte à outils professionnelle pour Mac DVD permettant de ripper des DVD en vidéo / audio dans plus de 150 formats, de faire de la 3D et de partager des DVD sur Mac sans perte de qualité. I 've used GOTD many times. This program froze my computer, so much my mouse is jumping across this page..arrrg.... and it will NOT play back a DVD I converted through this daft program, even on windows media player. Jessie , The problem may not be with the software. Did you try rebooting? Also, computer freezes are sometimes caused by video drivers. You might want to make sure you have the latest driver. Windows Media Player sometimes will not play home made DVDs. Try VLC or Media Player Classic. If this can extract audio from DVD, I can't see how. (and I don't mean creating an MP3 out of a sorround soundtrack, I mean getting the DTS track. this is what extracting means). It won't work with a DVD with DRM -- you'll have to use a decrypter in that case & copy it to your hard drive -- the free & portable PgcDemux will give you the exact files, just as they are in the DVD's VOB containers.